BEARS, BEETS, BATTLESTAR GALACTICA! THE OFFICE TRIVIA PARTY IS ON! 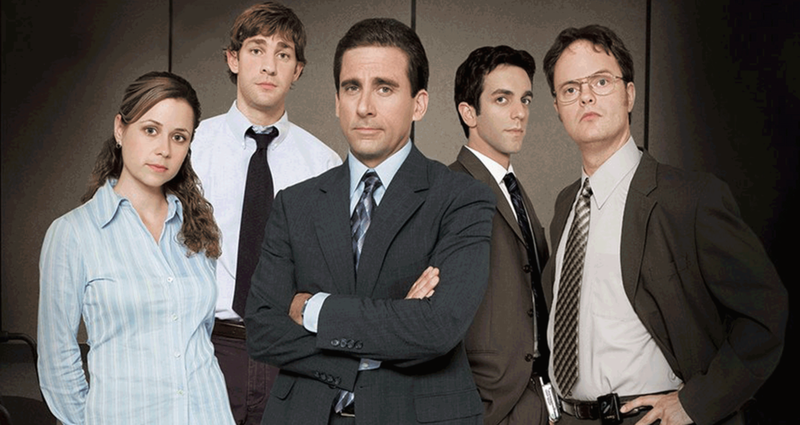 DUNDER MIFFLIN PAPER COMPANY IS THROWING ITS BIGGEST EMPLOYEE PARTY OF THE YEAR! DON'T MISS IT! GET YOUR TICKETS AND YOUR DUNDER MIFFLIN EMPLOYEE BADGE READY, OR HANK WON'T LET YOU IN! The picture with the most likes one week after the event will all receive a free ticket to our next event. Make sure your friends like the pictures, and you must be tagged in the picture to win. MAKE TEAMS OF 2-8 PEOPLE! Trophies will be mailed to team after trivia is graded. Grading may take one week to complete. 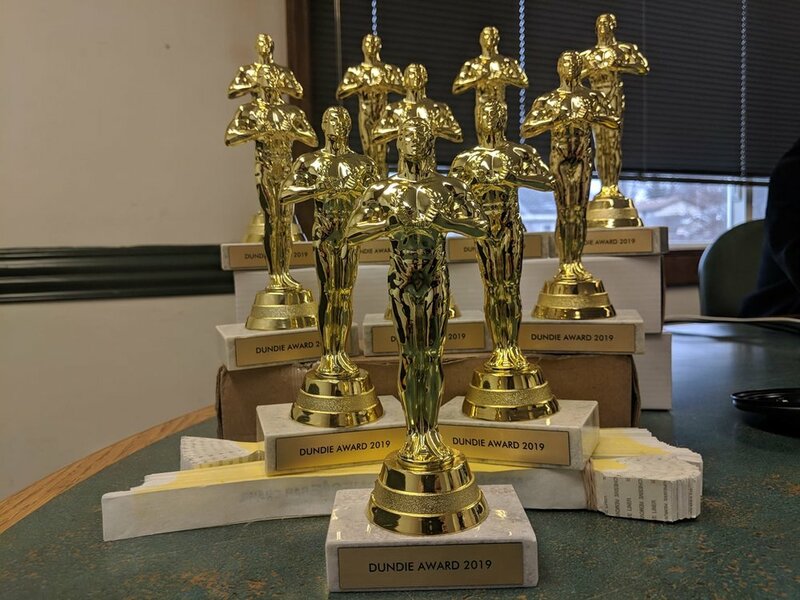 One entire team will receive the Dundie Awards. To start the crawl you or one of your team members will first need to arrive at the Check In location. Don’t be late, remember we’re downsizing! Markets will be provided to write your names on the ID Badge, and please make sure to only use the pencils for the scantron. Also it is required that you write your team name and a phone number on that scantron. At each venue there will be 25 trivia questions at 4 of the bars. Some venues might have live trivia readings, others will not and the questions will be rolling on some of their tvs. If there are any tech issues at the venues we will have backup questions printed out. Raffle is to Win 4 Free Tickets To Our Next Crawl & when handing this ticket in to The Hideaway they will also present you with a free Hideaway Shot. Make sure to put your phone number on that raffle ticket so we can contact you if you win. All of our After Parties will have either an exciting DJ or a rocking band. Remember when our after party starts, most of our deals and specials end at the other bars on the crawl. So don't be late and get to the after party! Don't forget your friends, and be sure to plan a safe and sober way home. Crawl trivia teams are from 2-8 people. You can also play individually. When making a team you will have to make a team name (and team password) and make sure all your other friends buy tickets and register under that team. One person from your team will check your entire team in during check in, and that person’s name MUST be in the team. If for some reason one of your teammates changes that is ok, however they will not be able to check in the team.